The emphasis and inspiration for this weekend Time-Out will be YogiChild and Fun Fun Fun Fun Fun! 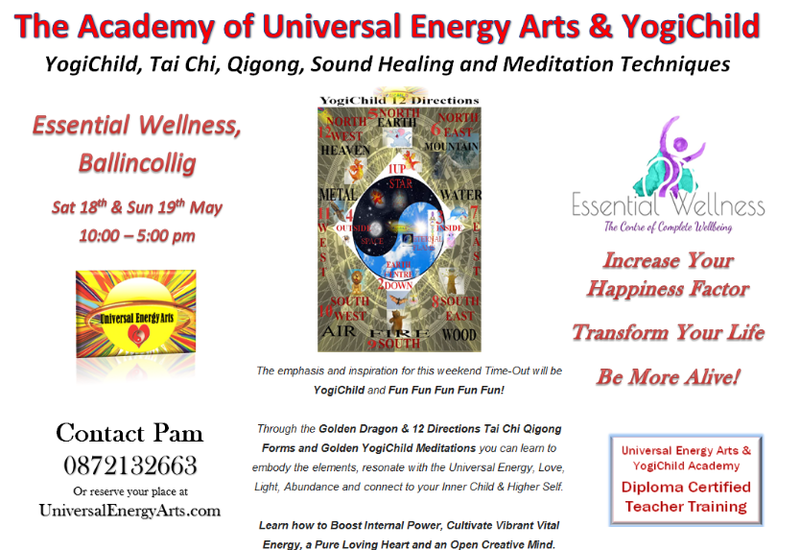 Through the Golden Dragon & 12 Directions Tai Chi Qigong Forms and Golden YogiChild Meditations you can learn to embody the elements, resonate with the Universal Energy, Love, Light, Abundance and connect to your Inner Child & Higher Self. Learn how to Boost Internal Power, Cultivate Vibrant Vital Energy, a Pure Loving Heart and an Open Creative Mind. 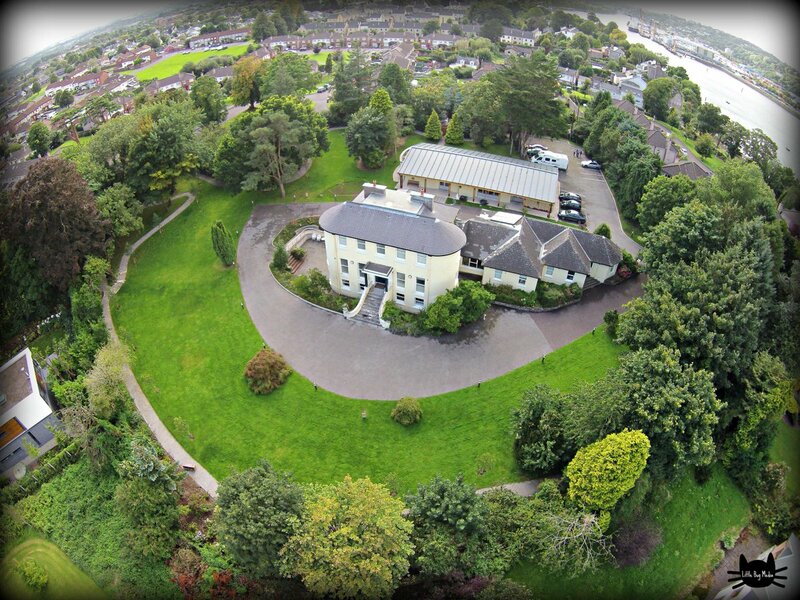 WEEKEND TIME OUT/TRAINING MODULES CAN BE TAKEN AS PART OF THE TEACHER TRAINING COURSE OR AS INDIVIDUAL MINI-RETREATS. 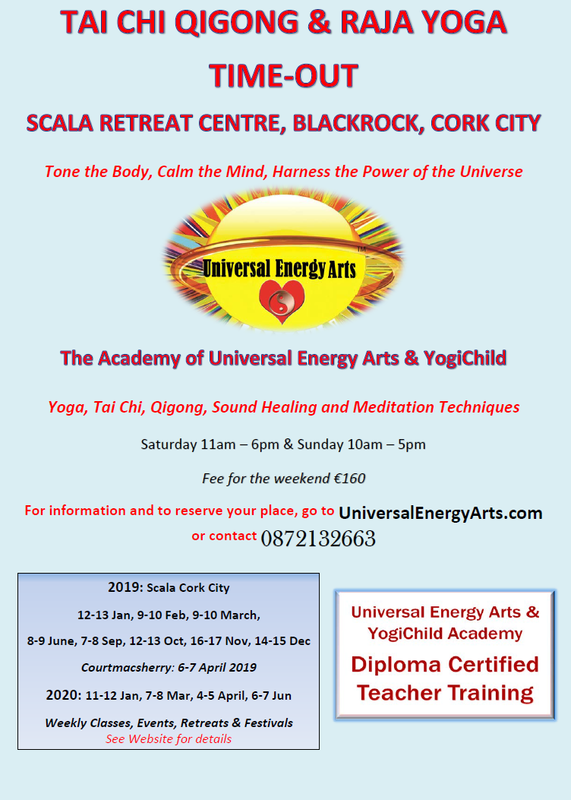 Transform Your Life Forever, Increase Your Happiness Factor, Cultivate a Vibrant Physical Body, A Pure Loving Heart and An Open Creative Mind with the Universal Energy Arts Academy Training Programmes. 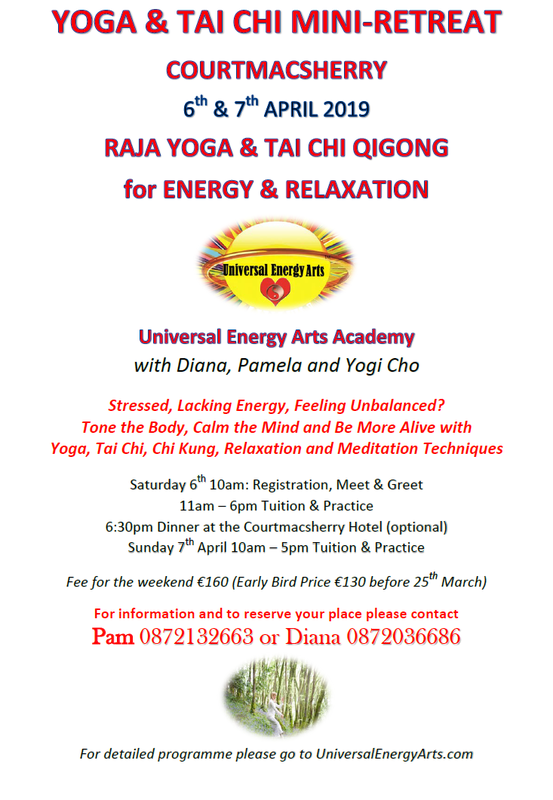 After graduating from this course students may be qualified to teach Tai Chi, Qigong, Yoga & Meditation to the general public. The Universal Energy Arts are wholesome disciplines for perfect harmony in life, wherein lies all our joy, happiness, health, abundance, compassion and love. The techniques you learn will help to activate the body’s natural ability to heal itself, releasing blocked energy, cleansing the body of toxins and strengthening the practitioner’s physical and energetic systems. Some of the numerous benefits from the practice of these ancient arts are inner joy, harmony, rejuvenation, longevity, natural health and inner strength. "Training began with children who were taught to sit still and enjoy it. They were taught to use their organs of smell, to look where there was apparently nothing to see and to listen intently when all seemingly was quiet. A child who cannot sit still is a half-developed child"
2019 © YogiCho.com. All rights reserved.